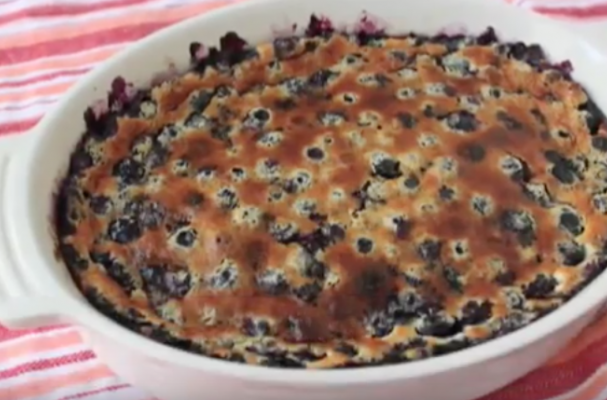 Blueberry clafoutis is a very persuasive reason to turn on the oven, even at the height of summer. This French dessert combines seasonal fruit with custard to create something magical. I like to serve my clafoutis with a dollop of whipped cream or vanilla ice cream. You can continue preparing clafoutis throughout the year using apples and pears in the fall and winter and stone fruit and berries in the spring and summer. This dessert is easy to make yet fanciful so you can impress anybody who is lucky enough to taste this homemade treat.